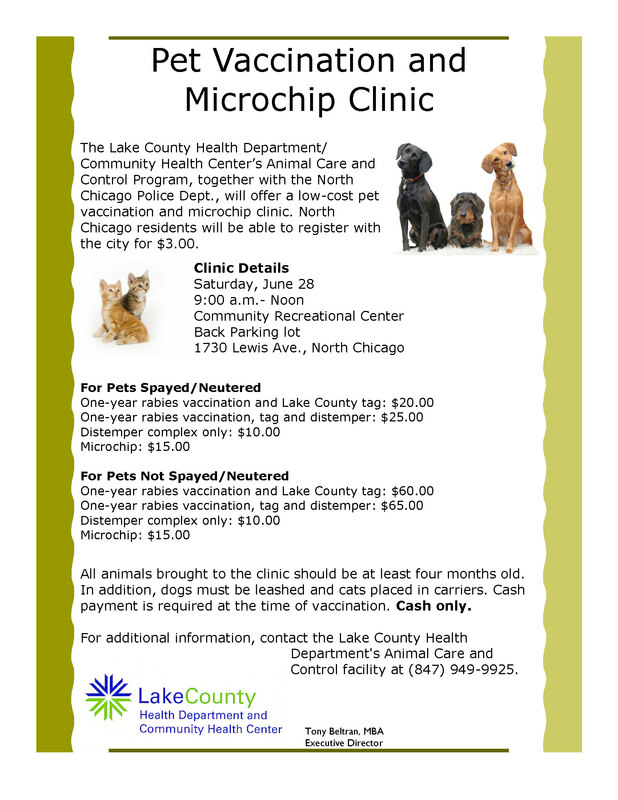 This clinic provides a convenient and affordable way for Lake County residents to keep pets up to date with their shots and rabies tags. 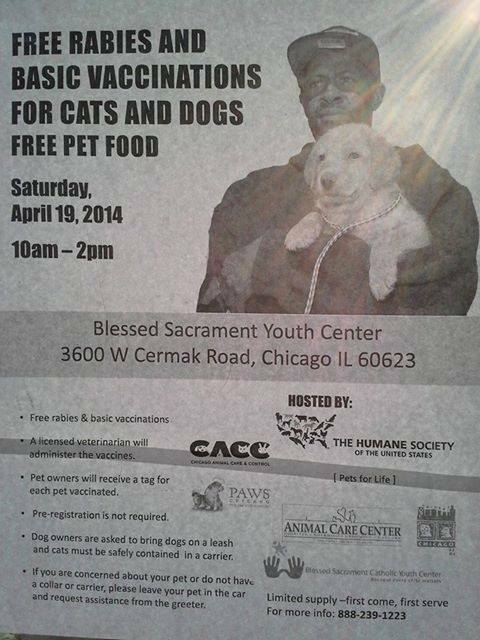 Pets will be taken on a first-come, first-served basis. All animals brought to a clinic must be at least four months old. Dogs must be leashed and cats placed in carriers. Only cash will be accepted on site. The Health Department’s Animal Care and Control Program tracks pet vaccinations and rabies tags, investigates animal bites and complaints of nuisance and neglect, as well as impounds stray animals. 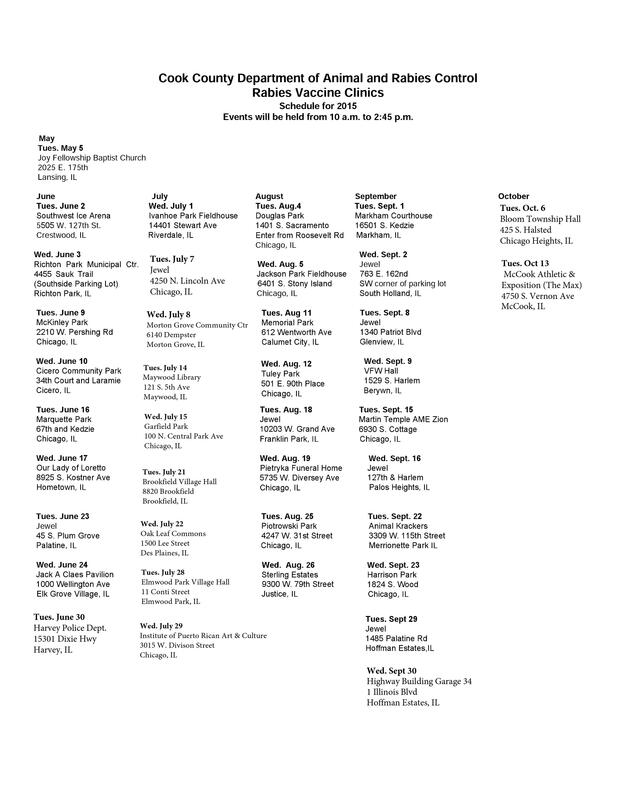 For a list of remaining pet vaccination clinics for 2014, visit: health.lakecountyil.gov/Population/Pages/Animal-Care-and-Control.aspx. 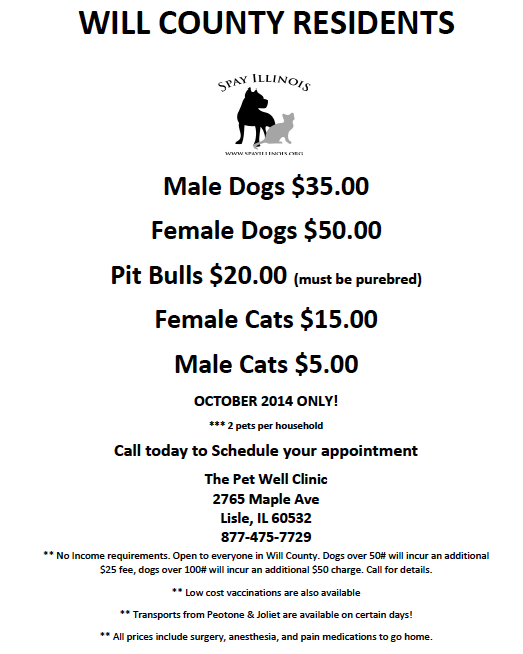 For more information, call: (847) 377-4700. 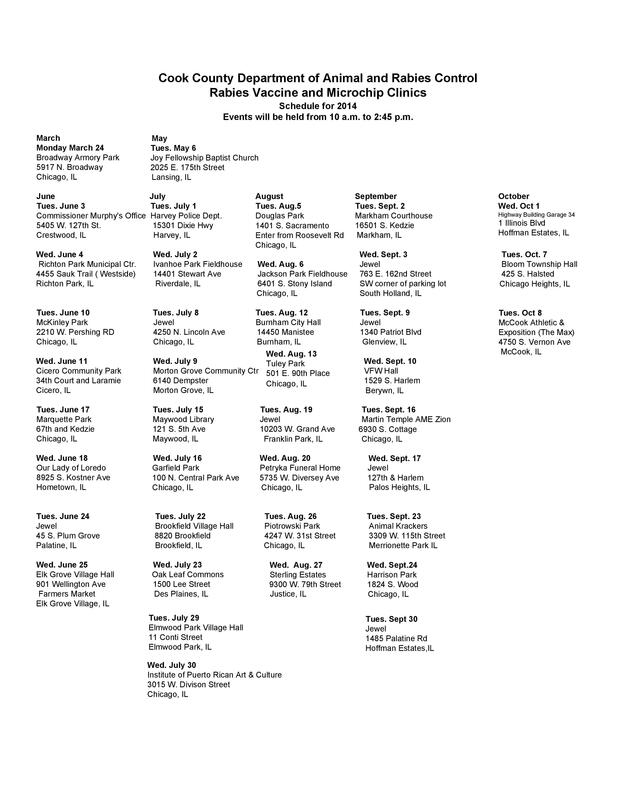 Cook County’s low cost clinic services will be offered starting March 24 and running through October 30. The mobile clinics will operate at various locations throughout the County. 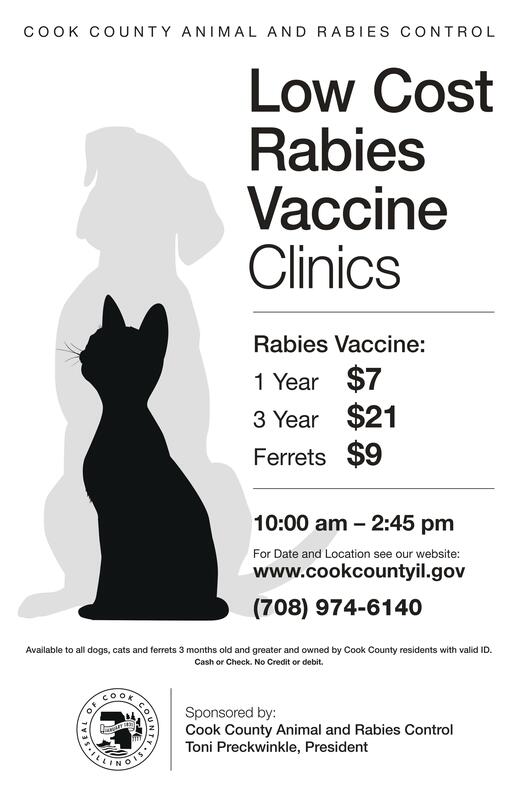 Rabies vaccines will cost $7 for a one year and $21 for a three year. Ferrets may only be vaccinated for one year and the cost of the vaccine is $9. 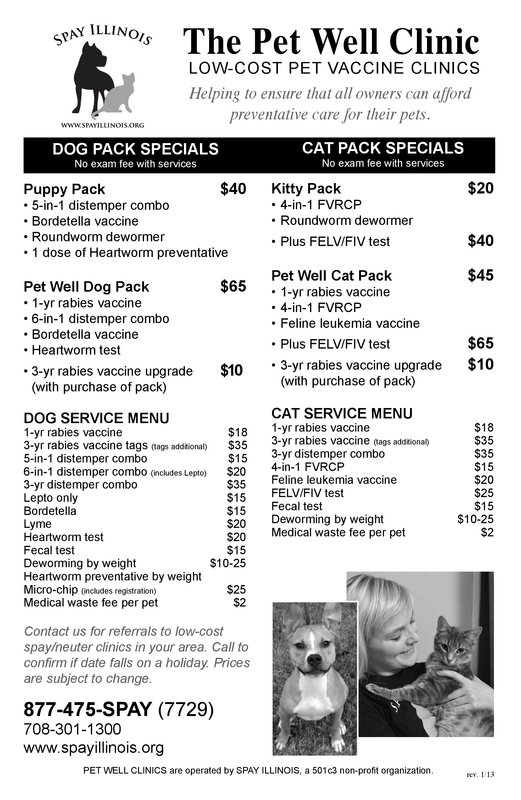 Pet owners can have their pets microchipped for $10; however, this does not include the national registration fee.